If you’ve ever turned on your TV to see a big money poker tournament in action, you’ve likely wondered to yourself if you could make a living playing the famous card game. After all, the players at those tables are raking in huge totals for expertly playing a game that you already enjoy, right? While those players are generally doing pretty well by mastering the art of poker, the viability of poker as a source of income for most people is much more dubious. 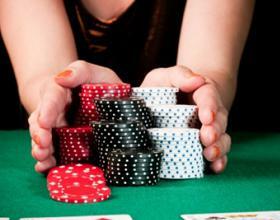 We’ve taken a look at the merits of poker as a profession, and the results aren’t great. Let’s take a closer look. 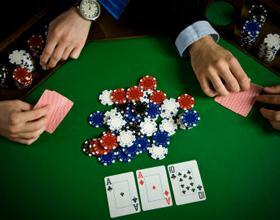 One of the most difficult factors in determining the profitability of playing poker is uncovering the statistics. In general, the winnings of poker players are fairly under wraps for a wide variety of reasons, which makes finding out how much you could hope to rake in extremely difficult. Additionally, there’s the issue of separating players. 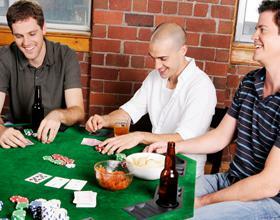 While most players try poker a few times, lose some cash and move on to the next game, others stick with it. Figuring out how to separate these two groups effectively has limited the success of researchers in studying poker results. Put simply, much of the market data available relies on estimates and guesses, so your results may vary from our conclusion. With the shaky statistics in mind, we can begin to look at the profitability of poker. To begin, let’s assume that 20,000 players achieve some degree of winnings in U.S. card rooms each year, which would be approximately 10 percent of the total number of players. Now, let’s assume that you’d need to make at least $50,000 each year to consider poker a viable source of income. According to industry experts, the number of full-time professionals earning this amount of money playing poker is about 3,000. When compared to the total number of players, the odds of achieving this are obviously extremely slim. Greg Raymer entered the public eye when he won the World Series of Poker and a life-changing sum of $5 million. According to interviews following this win, his success has been a long term effort. Despite maintaining a profitable balance over the years, Raymer stated that, prior to his championship, he had never had a year in which he won anywhere near as much as his job paid. He also said that there were only a couple of years in which he won enough to call it a decent living. So, can you make a decent living playing poker? If you take the game seriously, have the skill and get luck on your side, it’s certainly possible. However, so is translating your backyard basketball skills into an NBA career. While poker has certainly helped some people earn a small fortune, it shouldn’t be counted on as a true career path. Although the statistics are difficult to come by, the common theme is that making a living playing poker is a real longshot.